Their daughters are their reason for living. Their sunshine and their happiness. But Kate Austin-Rivas and her husband Didier endured more than their share of pain, loss and trauma to get to this day. Holding their new baby Scarlett – born via a surrogate in January – Kate and Didier can finally smile again. 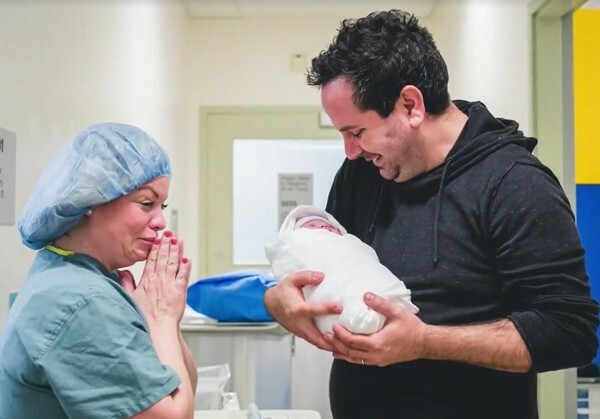 As if Kate’s story of how her family came to be isn’t enough to get you sobbing, the photos of Scarlett’s arrival into the world – the relief and unbridled joy plastered across the faces of her parents – sure will. It was a painfully long journey for the couple, keen to give daughter Elle, 6, a sibling. Their journey lead them on a path of unimaginable heartbreak and suffering that included a stillbirth, miscarriages and the death of baby Ireland, only a month old. “Eight years of fertility issues, miscarriages, the birth of our first daughter, then a stillbirth, another miscarriage and then loss of our one month old baby, Ireland, due to a series of medical errors during labour and delivery,” Kate says on her blog. But after “reaching out of the darkness” and taking a chance, the couple posted their story on social media, ultimately finding a surrogate, Christine. Kate admits she was cautious and guarded, not confident. But her gut instinct told her to take the chance. “She was willing to carry a baby for me because I could not. I saw a door opening. She wanted us to have a positive experience, a positive outcome, and she was confident she could do it. I believed her. I was open,” says Kate. In-vitro fertilisation was deemed a failed cycle with only two eggs, but were transferred into Christine. “Against all odds, we were sent a picture. A positive home pregnancy test. We were back on the roller coaster,” Kate remembers. But Christine took care of the couple’s precious little baby: “Her body did what mine could not,” Kate says. On January 22, 2016 Scarlett Ryan was born. “She came against the odds and adversity. She came pure, a gift of love and a reflection of perseverance,” says Kate. 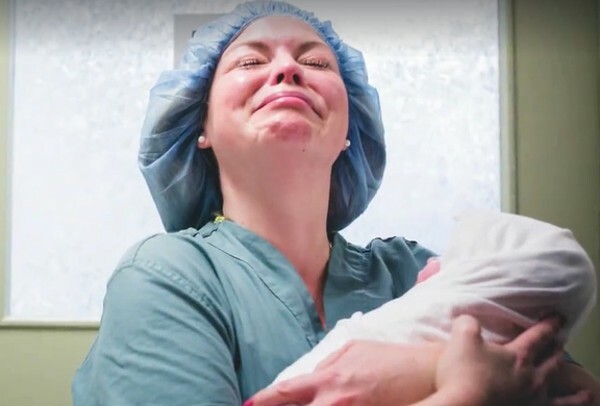 Prepare also to be moved to tears while watching the video, compiled by photographer Ashley Marston, of Scarlett’s birth story. But we promise they’ll be happy tears. 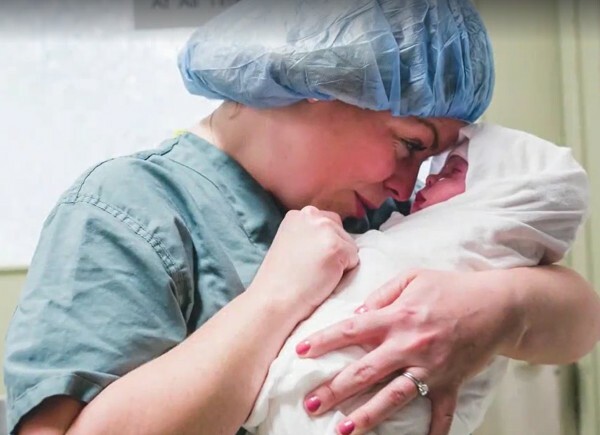 The Canadian family’s happy ending is in stark contrast to the battle going on for a US couple, who are heartbroken after a surrogacy backflip that means they’re unable to see their daughter.